We at Bart Day Law strongly believe that ‘knowledge is power.” We believe that the more knowledgeable our clients are about the basics of entertainment law contracts and entertainment industry practices, the more that they can handle their business wisely and avoid common pitfalls. And the more that they can help us handle their legal affairs efficiently, cost-effectively, and strategically. 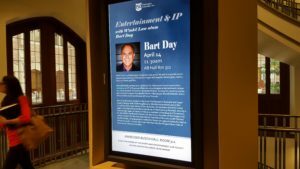 And so, we are providing on this page various Bart Day Law entertainment articles, which we hope will be helpful to you.